My friends Lisa and Barry were headed to Russia to meet their son. Remember...I talked about it Wednesday? It was worthy of a solid ugly cry. IT WAS. As a travel gift, I gave them a ridiculously-generous $10 iTunes gift card. I suggested they spend it on an e-book, 2.5 movie rentals, or 8.5 songs to tide them over for the 10 hour flight. 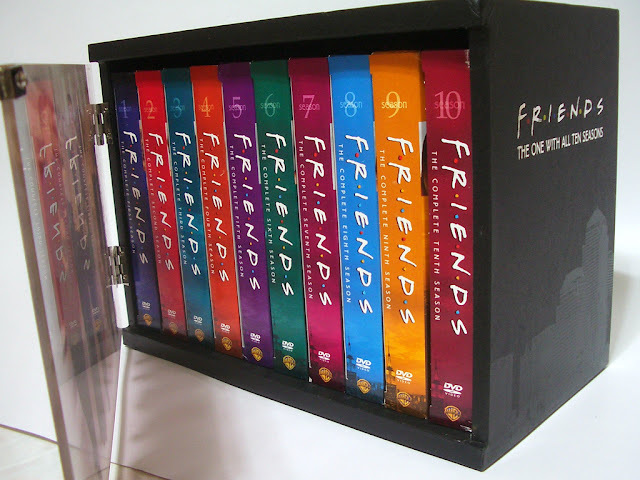 Lisa bought 3 Friends episodes. You know...since you can't ever see them on TV at home. She said the hardest part was choosing. For me, there would be no hesitation since the best episode of Friends is Season 3, Episode 2 titled The One Where No One's Ready. It's a real-time look at Ross freaking out as everyone takes a long time to get ready for a museum event. As a celebration of having 1000 "friends" at the Jamie's Rabbits Facebook page, how about a giveaway? One even more thoughtful than if you were flying to eastern Europe to meet your kid.